Having trouble using the system? 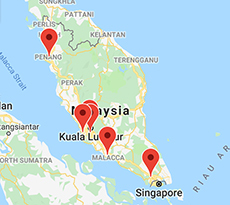 JB Office: 83, Jalan Flora 1/9, Taman Pulai Flora, 81300 Skudai, Johor, Malaysia. Selangor Office: 21-2, Jalan Equine 1C, Taman Equine, 43300 Seri kembangan, Selangor, Malaysia. Klang Office: No. 32-1, Jalan Ramin 3, Bandar Botanic, 41200 Klang, Selangor. Penang Office: 129, 2nd Floor, Medan Kikik 1, Taman Inderawasih, 13600 Perai, Penang, Malaysia. Manage your website function, add, edit, delete products / photo / news / video / download. How to use Mobile Apps to manage? Track website performance by weekly & monthly report. If you are interested to attend, please contact us to confirm the seats and bring your own laptop.